The following is courtesy of Wired Magazine: DANGER ROOM. The Caribou airlifter flies so low through the mountains and valleys of eastern Afghanistan that it’s invisible from the ground … until it’s right on top of you. The Vietnam-era, twin-engine cargo plane with the cranked wings and bulbous nose appears suddenly, racing just a couple hundred feet over the U.S. Army outpost on the outskirts of Marzak, in remote Paktika province. At a precisely timed moment, the Caribou pitches upward. A dozen black plastic pallets tumble from its cargo hold and, parachutes unfurling, drift down onto a snowy field adjacent to the American base. The Caribou, hundreds of pounds lighter, dives for the safety of a nearby valley. The dramatic “Low-Cost, Low-Altitude” (LCLA) resupply, which I witnessed numerous times during my week at Marzak in January, represents the latest tactic in the high-stakes logistical campaign that underpins the U.S.-led war effort. Along with robot trucks, robot helicopters, “smart” parachutes, hybrid trucks and even airships, it’s also evidence of the Pentagon’s never-ending quest for better resupply methods. Mountainous, landlocked, surrounded by hostile neighboring countries and lacking good roads, Afghanistan is a logistician’s nightmare. Isolated outposts such as that in Marzak are the most difficult to keep fed and fueled. There are no roads capable of supporting a heavy truck. At 10,000 feet about sea level, Marzak is too high for many helicopters. The large, powerful copters — American Chinooks, Russian-made Mi-17s — that can climb high enough are especially vulnerable to rockets and gunfire. Airdrops from high-flying C-17 or C-130 cargo planes are often imprecise. If the materials land too far away from the outpost, the resident soldiers must send out a risky combat patrol to retrieve them, a particularly difficult task without trucks and other heavy equipment. The Army deployed to Marzak in January. Anticipating the need to supply it and other remote locations, in October the Army hired a boutique resupply company built around a single, 50-year-old DeHavilland Caribou and 15 civilian pilots, staff and ground crew. The Caribou and its crews, based at Bagram airfield near Kabul, are asked to do things most military airlifters cannot: Fly low and fast to drop small loads of critical supplies with pinpoint accuracy. The company, whose name we’ve been asked to keep secret, began flying resupply missions in October. Since then, it has delivered more than a million pounds of cargo, according to a source close to the company. The secret to its success is the skill of the flight crews, the mechanics’ meticulous maintenance of the 1960s-vintage Caribou and upgrades to the rugged plane’s engines that give it extra oomph. “It makes for a perfect LCLA airdrop platform,” the source tells Danger Room. “Low-Cost, Low-Altitude airdrops by civilians in Afghanistan is an extremely vital asset that’s usually overlooked by most,” the source continues. The lack of publicity could be intended to spare the Air Force any embarrassment. After all, until recently the flying branch did possess one small airlifter in the Caribou’s general category that could possibly have equaled the civilian plane’s low, pinpoint drops. The would be the C-27J, built by Alenia. The Air Force and Army originally planned to buy the twin-engine C-27J together, but the Air Force fought to take over the program. The C-27s deployed to southern Afghanistan for the first time last year. They’d barely begun flying missions when the Air Force decided to scrap the entire 38-plane fleet to save money — a move that Gen. Norton Schwartz, the Air Force chief of staff, said was “particularly difficult,” as it left the Army in a lurch. Last week the C-27J cancellation was a hot topic debate in Congress. With no military planes to assume the low-altitude resupply duty, highly skilled civilians and their ancient but upgraded Caribou will likely remain a unique lifeline for isolated troops. The Caribou’s dramatic airdrops should be a regular sight in the war’s waning years. 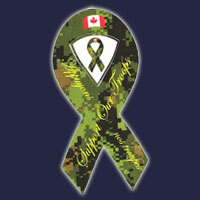 I am a former Canadian Soldier and a current Old Fart Canadian Patriot who tends to hold conservative values. Support Scott Kesterson in his ongoing work to report back to all of us; the real happenings in Afghanistan. Please click the button below to contribute whatever you can.